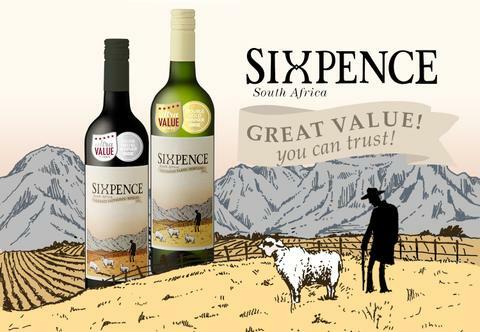 We entered our Sixpence Sauvignon Blanc/Semillion 2017 and Sixpence Cabernet/Merlot 2016 into the ULTRA VALUE WINE CHALLENGE. This is a industry wine competition that assists consumers to find the smartest buys for under R100 per bottle, thus putting consumers first! Attie Louw, Winemaker: “We strongly believe that all wines from Opstal Estate, at different price points, should offer great value. That is why I regards the Ultra Value competition as a very important vehicle in promoting and putting the spotlight on those pocket-friendly wines that will over-deliver on quality at very reasonable prices. Our lifestyle Sixpence Range has to do just that and get recognition for that shows we’re on the right path”. We received a Double Gold Medal for our Opstal Estate Sixpence Sauvignon Blanc/ Semillon 2017 and a Silver Medal for our Opstal Estate Sixpence Cabernet/Merlot 2016.